Rising interest rates and home prices are expected to make buying or selling a home more difficult in 2019 according to real estate experts. While housing inventory is expected to increase, it could be challenging for many buyers to afford entry-level real estate. Buyers will need to adapt to higher rates and prices. Sellers, on the other hand, should be ready for more competition. According to a forecast from Realtor.com, mortgage interest rates will rise average 5.3 percent and top out at 5.5 percent by the end of 2019. This would make most mortgage payments for new buyers almost 8 percent more a month than seen in 2018. Home prices are also expected to rise slowly at a 2.2 percent rate over 2019. Meanwhile, it is expected that inventory will moderately increase with an almost 7 percent gain. When crunching these numbers, it is expected there will be a 2 percent decline in home sales. It is expected that the buyer’s market will not return for at least five years if rates continue along this path. The new tax changes will affect the affordability of owning a home beginning in 2019. 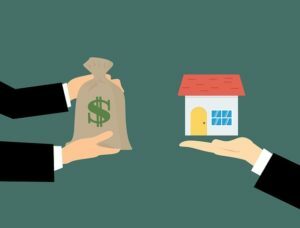 Previously, homeowners could reduce their taxable income by deducting the interest paid on mortgages up to $1 million along with the interest on some home equity loans and lines of credits. In 2019, homeowners can only deduct paid interest on up to $750,000 in mortgage debt. Interest paid on home equity loans and lines of credit is limited to funds that are used for renovations or home improvements. And the $10,000 SALT cap is also expected to affect housing markets. Despite the challenges, there may still be an opportunity to be had by some buyers and sellers. It is still a seller’s market and sellers can benefit if they are willing to be flexible. And for buyers, there is less competition and a bigger inventory of houses to choose from. The Federal Housing Finance Agency is raising the amount that home buyers can borrow with a conforming loan up to $484,350 in 2019 from $453,100. This will allow homebuyers to borrow more money without having to qualify for a Jumbo Mortgage.